FantaZ is one of a new crop of network marketing companies trying hard to figure out a way to tap into the rapid growth of the online gaming market. Now FantaZ which recently entered the world of MLM has a totally virtual product, online gaming, and hopes to be able to capitalize on what is by their accounts a $4 billion online gaming industry. Now this is a strong niche market, and I think that is what the founders of FantaZ are counting on. If this new MLM company can reach enough of the online gamer market and convince them that this is the way to go it could explode through the industry and grow virally and of course the people who push it could make a lot of money. However it seems that as popular as online gaming is, the lion’s share of this market belongs to the big game developers who have branded themselves over the years and developed a fanatical following. The success stories such as the of World of Warcraft who by some accounts had 12 million subscribers as of October 2010 are legendary. They are currently the world’s most-subscribed online gaming site and hold about 62% of the MMORPG (Massively multiplayer online role-playing game) subscription market. Now of course not begin a gamer myself I am observing this world and business model from the outside so a gamers view may be different, but it seems that the big franchises in this market all developed highly designed computer games with massive content and then branched that into the online world so they already had a natural market following for this. Now the company does seem to have a pretty wide variety of games such as golf, pool, fantasy sports, and many others, but it would seem that to enter this market as a new company with no followers, that the best approach would be to develop a killer game app but I am not seeing that. This MLM is counting on the general popularity of online gaming combined with an MLM business profit structure to drive a marketing explosion, but then developed a rather tame 7 level unilevel compensation so there is really not a lot of money here unless you develop a really big group. Now if online gaming is your passion and you like the business model then by all means go for it. FantaZ could be that unique opportunity for you to combine something you love with getting paid to do it. However remember that every MLM compensation plan requires a different business plan to really drive it and capitalize on the growth. With the potentially low dollar payout on volume based on the monthly membership fees ($25 to $50) and not a lot of meat in the sigh up package ($99), you are going to have to build a very large group in this MLM company to make decent money and your market niche is going to be fairly limited. 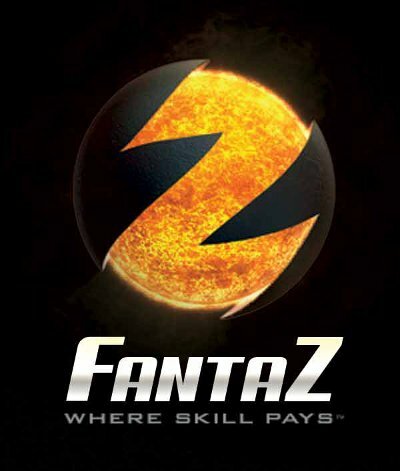 Now FantaZ is not a MLM business I would sign up in, I tend to favor more of the Top Tier MLM business model, but if I was going to build FantaZ my approach would be to use an online marketing model to generate a high volume of prospects and target the online gaming market specifically. There are some great out of the box systems that can be used to teach you how to market online like My Lead System Pro and they can also really automate the lead process for you. I would also use some viral tools such as a downloadable PDF with game tips or some other game giveaway with embedded links back to my capture page so that your prospects would take your “free gift” and share it virally through their network.